On the day nieces are born, you become newly minted aunts or uncles. This means being connected to a little girl who will someday grow up to become someone accomplished and famous. Before that happens, however, you will be building a special relationship with your niece, and what better way to do that than to remember your niece’s birthday every year? Store-bought cards won’t cut it if you want to impress to your niece that you are a cool and evolved person available for late night chats and some girl talk when the time comes. 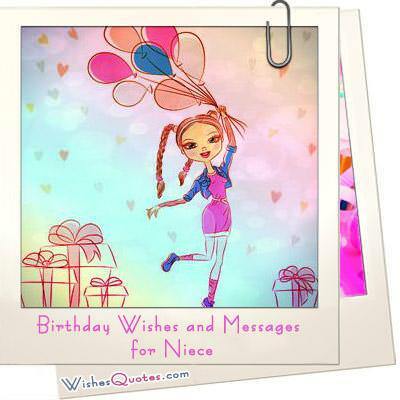 Browse our recommendations of wonderful and unique birthday wishes for niece and build your rep as the fun uncle or aunt. Life hack 101: How to be a best friend/play pal/mother figure and have all the fun? Answer: Have a niece! Happy Birthday, sweet one!